Interactive projectors combine the capability of a standard projector plus an interactive whiteboard at a lower cost. However, not only do the various models differ in all the usual projector features, they differ in their interactive features as well, which means you can't treat the interactive part as a given. For this shootout, we gathered what are really two categories of interactive projector: four DLP projectors that use TI's interactive technology, and two LCD projectors that don't. All four of the DLP projectors share some strengths and weaknesses that are built into TI's technology. They don't need calibration, which means you can move the projector or change resolution and get right to work. And they can interact without the pen touching the screen, which lets you use literally any projection surface, including a hanging screen without a hard backing. On the minus side, all four have an interactive mode that, when activated, causes you to lose some brightness. And because all four are DLP projectors, they all show rainbow artifacts at least occasionally, which can be an issue for some people. Finally, they all have reduced color light output as compared to their white light output. That means that you will have a brighter image when projecting, say, a spreadsheet with a white background than you will when projecting a full color image like a Powerpoint slide or photograph. The LCD projectors offer the exactly opposite strengths and weaknesses. Both LCD models need calibration, and their pens need to touch the screen. However, they don't have a separate interactive mode that needs to be activated, so interactivity works at full brightness; they can't show rainbow artifacts; and they deliver the same brightness for color subject matter as for black and white subject matter. Given these differences, you may want to start by choosing the interactive technology you prefer, and then focus on the projectors with that technology. One observation worth mention here is that we saw no correlation between lens distance from screen and whether shadows are a problem if you're standing right at the screen. The Dell S320wi, for example, with the farthest lens from the screen in our tests, at 42 inches, had fewer issues with shadows than the Dell S500wi or Smart LightRaise 40wi, which were both closer to the screen. Also worth mention is that all of these projectors did well on brightness uniformity, which is often a problem for short throw and ultra-short models. Some came in with higher scores than others, but in all cases the brightest and darkest areas were far enough apart so the differences were essentially impossible to see except on a solid white screen. 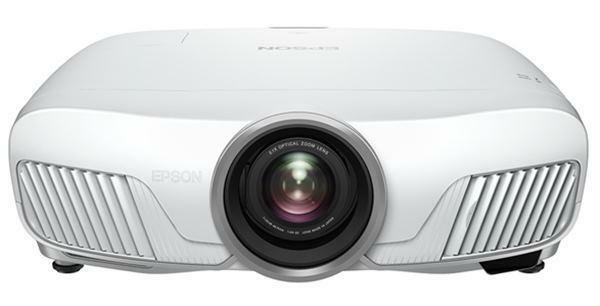 The Epson 485Wi comes in first in most categories, with the best video image quality, brightest interactive image, best audio system, and more. It even edges out the DLP projectors on interactive features, thanks to its automatic calibration and its ability to work with two pens at once. It comes in second to the Sony VPL-SW535C for data image quality, but it's a close second. Unless your budget is too tight, or you absolutely must have the VPL-SW535C's slightly better data image quality, or you need one of the interactive features that's built into TI's technology, the Epson 485Wi is a compelling choice. The VPL-SW535C delivers the best data image quality in this shootout, it comes in a close second to the 485Wi for video quality, and it ties for second brightest interactive image. Its one potentially fatal flaw is that it needs manual calibration, with 49 calibration points. If you need to calibrate very often -- because of changing resolutions or moving the projector for example -- that can be a serious annoyance. Third place overall, and first place for the DLP models, the Smart LightRaise 40wi doesn't offer any notable strengths, but it also doesn't suffer from any great flaws. Comparing just the DLP projectors, it comes in second to the Dell S500wi for brightness in interactive mode, for example, but also comes in second (to the Dell 320wi) for data image quality, with the S500wi in last place. Compared with the other DLP models, the S500wi delivers the brightest interactive mode, the best video quality using bright presets, and the second best video -- behind the Smart LightRaise 40wi -- using best color presets. Unfortunately, it gets the lowest score for data image quality, largely because of visible bowing of the image, which is particularly distracting in data images with straight horizontal lines. Despite offering the lowest resolution in this group, at 1024x768, the S320wi came out with the best data image quality for any of the DLP projectors, with text easily readable at 7 points and a rock solid display even with images that tend to cause pixel jitter. Turn on interactive mode, however, and it drops to only about 30% of its non-interactive brightness, limiting its usefulness in rooms with significant ambient light. For each major category we looked at, including data image quality, video quality, and brightness in interactive mode, the MW860USTi ranks either fifth or sixth in this group, giving it a sixth place overall. However, it's also the least expensive 1280x800 model in the group, so the low rankings are in line with its price. For more details, see the full reviews and the comparative charts linked below. i wonder how the BenQ MW851UST would hold up in the competition. It advertises a 13,000:1 contrast ratio. I've never seen a review of it. Which is unfortunate as i have a need for an ultra short throw that can act as a tv and Xbox kinect unit. Why was the best interactive projector on the market not included? The Hitachi CP-AW2519N.